Make up sessions are not available, so make sure your child is available for entire two-week session. Classes will be taught by Red Cross Certified WSI instructors with attention to small class size of no more than 6 students per instructor. Cost: $130.00 for Members and $140.00 for non-members of DHSC. Includes competition swim suit, cap and team shirt. 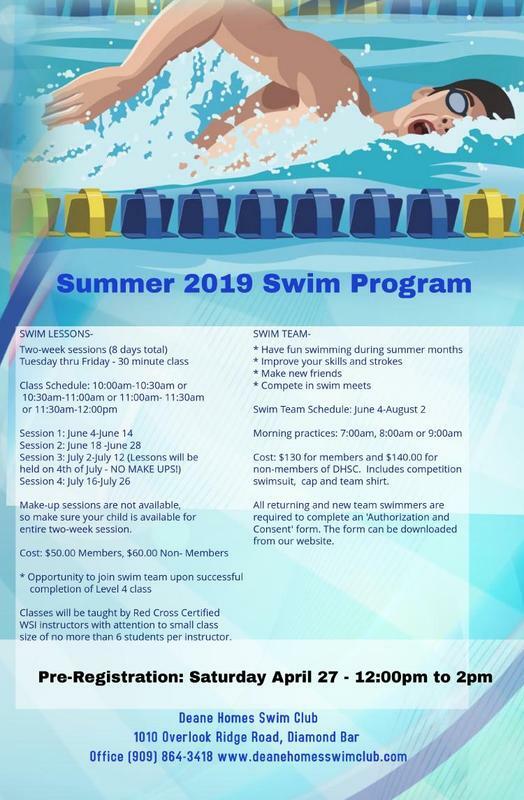 All returning and new team swimmers are required to complete an ‘Authorization and Consent’ form. The form can be downloaded from our website.